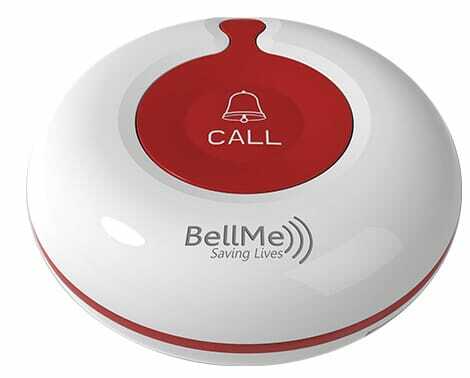 BellMe Wireless Call Buttons provide notifications between a caregiver and the cared-for, which is used to reduce the response time during a critical event. If an elderly family member falls in the shower or needs medication they could be left in their state of discomfort for hours before someone discovers them. 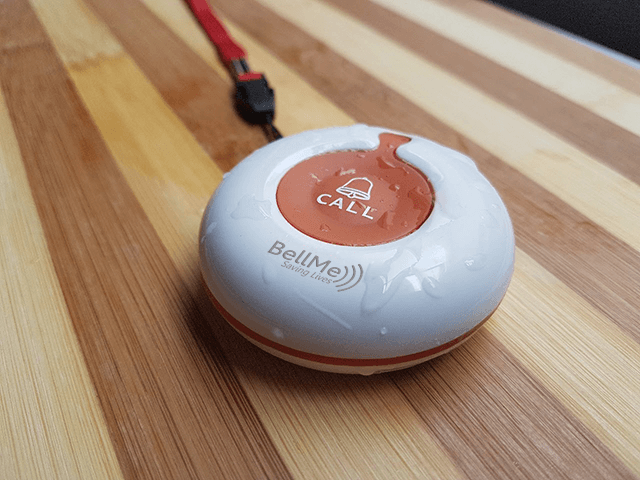 The BellMe Wireless Call Button allows the cared-for to call for instant assistance. Our main reason for buying this product is because it was advertised as something that is far-reaching. We really like that the range of the product reaches far with the Signal Booster. If anyone is thinking of buying this product I suggest you buy it from Jolandie Wessels, she is very helpful and pleasant. We are very happy that the product works as advertised. My son-in-law ordered your watch/alarm for me when my wife became bed-ridden and I have found it to be most useful for keeping in touch with her when I am away from her in the house or out in the garden. It is used every day and has attracted a lot of attention from friends and potential users. We are very happy with Bellme. We got it for our boss who has a carer looking after him. He has just come home from having aggressive radium and chemo. It is working well. Thank you for your excellence service and delivery. BellMe is a wonderful product. Having parents in their late 80s or 90s is scary for any child. My father recently broke his shoulder and without the use of his right arm he found himself stuck in a couple of situations and was calling for help for over 30 minutes. Thank goodness I came across the BellMe website. I was quickly able to purchase a device for my 89 year old mother and 92 year old father. I can rest easy knowing that all they need to do is press the button on their device and their care giver is instantly notified that they need help. The good news is that BellMe is very reasonably priced though I would gladly have paid more for the peace of mind that having my parents equipped with a BellMe device has brought me. 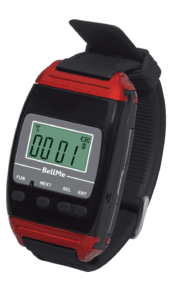 Really awesome, BellMe is a really cool product, I’m actually a C6 quadriplegic and I use it to communicate with my helper, I actually have a 24-hour helper here. Initially I use to just rely on my cell phone to contact her but you know cellphone is not a 100% solution where sometimes we have issues with the network or the phone is off and I can’t always get her on time so I started using the BellMe system and I’m very very impressed with it. Firstly it’s very easy to use because I have limited finger mobility so it is easy to press the button, button is quite big. Secondly it’s quite convenient, I can always have it around my neck. It is very light weighed, I don’t even feel it there. I just have it around my neck the whole day and whenever I need my helper I can just call her. The other is that I was concerned about was the distance because she is based quite a far distance away and it is on a level below us so I was concerned about the frequency , whether it will reach but it seems to be transmitting very well and it works 100% even though it's quite far away. Lastly the price, I was quite impressed with the price as well, I always thought that these wireless systems were quite expensive and I found it to be quite affordable. I got 4 buttons, a calling light and a UPS. Definitely well worth it, you know it’s something essential that I need in my home now especially being a quadriplegic, so it’s something I can’t live without. Our systems are extremely easy to programme and operate. Self Installation is a breeze. Simply mount our call buttons onto a flat surface and you are good to go. BellMe can also set the calling information for you or you can programme each call button easily. If you would like to modify and adjust the system, BellMe will provide videos so that you can take control, and we will be there to provide support. You do not need to incur an extra monthly expense when purchasing from us. 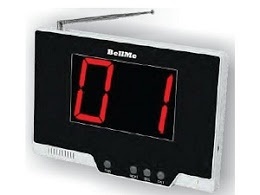 All BellMe Products are once off purchases. We do not sign you into rental contracts that only cost you more money. Instead we sell you a system that will last a lifetime. Your Calling System comes with the basic equipment required for it to run smoothly. For eg: each Call Button is supplied with the mounting bracket even if you only want to use it on a lanyard. We offer technical support, and we are willing to go the extra mile for our customers. You don’t have to be slowed down by any technical aspect of our products. We will provide telephonic support to you. 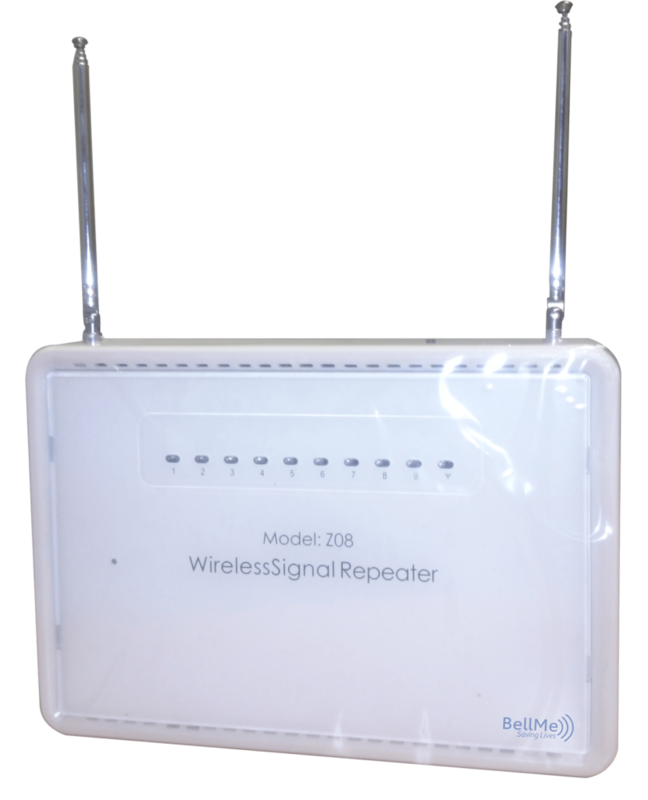 The BellMe Calling System uses radio frequency to wirelessly send out a signal or notification. If your internet connection is interrupted System will continue to work as normal. Our systems are more cost-effective than typical wired systems. Running cables through a beautiful home can be a tedious task. Upgrading your system or moving the Call Buttons around is fairly quick. Even if you would like to rename call buttons it's a simple 3 step process that takes less than a minute. This Call Button Saves Lives. Used for fast communication between caregiver and cared-for. A simple push of the button will send out alerts to multiple receivers such as a Wristwatch and an LED Receiver. One Button can alert the caregiver through various methods. The button is durable, waterproof and long lasting ensuring your family member has peace of mind for a lifetime. Let our LED Light Guide you for quicker response time. This receiver can be installed above any room entrance for easy identification of the area that needs assistance. It will flash & alert with or without sound. Cancel buttons must be present to disable the light. Do you need to receive a notifications on the move? When a call button is pressed it appears on the wristwatch. The caregiver can cancel the request on the wristwatch. This display panel is popular with home use clients due to its ease of use. The ringtone volume can be adjusted to your preference and call buttons can be programmed in a simple 4-step process. Buttons are displayed on the front of the panel for quick access. Extend your signal to any area of your property. These signal repeaters are installed where the signal falls short. 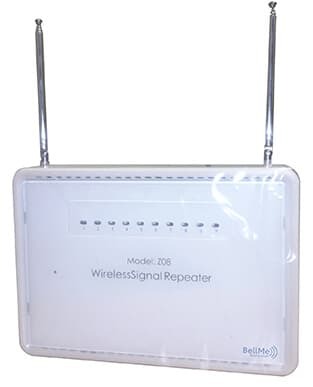 Your property may need signal repeaters to carry the signal further. We will assist you in determining if you will need this product. 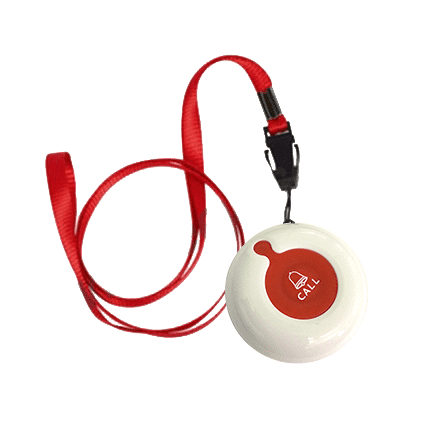 You will have a Call Button that you can wear on a lanyard and keep with you at all times. The button is 100% waterproof and can also be used in showers and bathrooms. 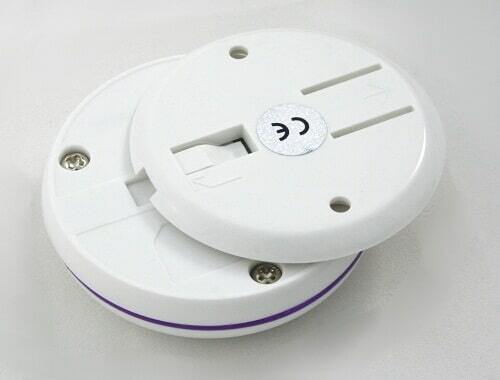 When you need assistance, you simply press the button and it will send an alert to the multiple receivers. Your caregiver can use a wristwatch that is rechargeable to receive the alert while they are on the move in and around the house. This wristwatch can be worn on the arm or on a Lanyard. The LED light can be mounted anywhere and when you press the call button it will also alert the caregiver by flashing red and making a beeping noise until cancelled using the cancel button that can be mounted close by. 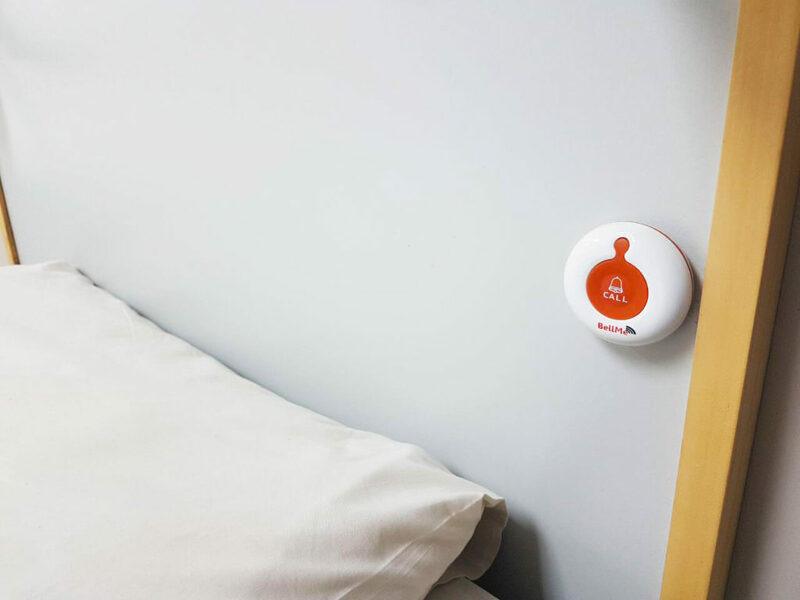 The reason for including the LED light is that the alert is loud enough to ensure that your caregiver is woken up at night when you need assistance. The Display Panel can also be mounted or put on a counter-top using the stand that is included. When you press the call button, the display panel will also alert your caregiver that assistance is needed. 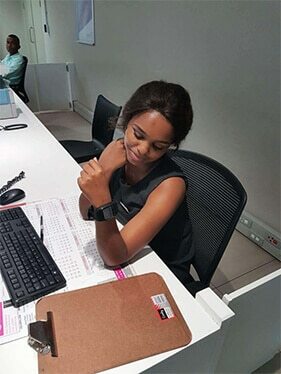 The wristwatches will work as normal during loadshedding – just ensure that they are always charged. The LED Light and Display Panel would need to be connected to a UPS to work during loadshedding as it does need a power source. We would suggest asking your caregiver to set an alarm and wake up when there is loadshedding and stay awake for that period if you do not want to purchase a UPS. The installation is really simple. We do the programming for you so that the system arrives ready to use. 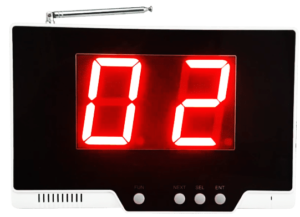 All you need to do is have the LED Light and Display Panel mounted and connected to a power source. We provide you with a power supply for each of these. The wristwatches will display their battery life on the screen and your caregiver just need to charge them when they are flat. The LED light can be mounted anywhere and when you press the call button it will alert the caregiver by flashing red and making a beeping noise until cancelled using the cancel button that can be mounted close by. The Display Panel can be mounted or put on a counter-top using the stand that is included. When you press the call button, the display panel will alert your caregiver that assistance is needed. Your caregiver will use a wristwatch that is rechargeable to receive the alert while they are on the move in and around the house. This wristwatch can be worn on the arm or on a Lanyard. Please note that the alert of the wristwatch is not loud enough to wake someone up at night. We would suggest asking your caregiver to set an alarm and wake up when there is loadshedding and stay awake for that period to ensure they will be aware of any alerts. The wristwatches will display their battery life on the screen and your caregiver just need to charge them when they are flat. Where can the Call Button be placed? 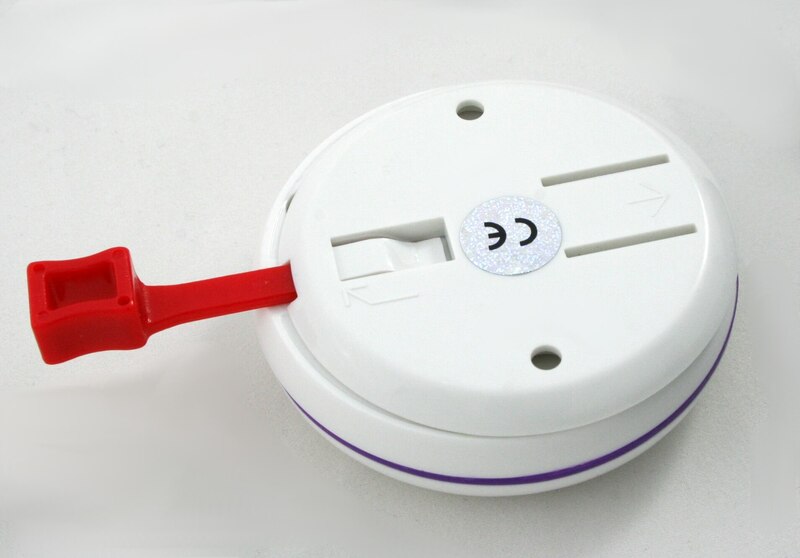 A call button can be mounted on the bedside, in toilets/bathrooms or even on a lanyard to be worn around the neck. 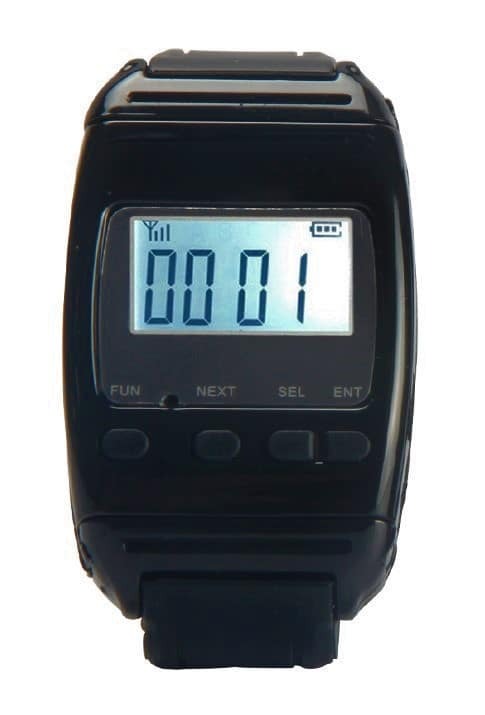 The wrist watch receiver can be worn by anyone who is watching over your family member. After a the cared-for presses the call button the wrist watch receiver will display a notification for assistance required in a specific location or simply in general. After the Call Button is pressed the LED Light will make a loud continuous beeping noise and/or display a flashing light. Caregivers can wear a wireless wrist watch receivers that ensure they are alerted even whilst on the move. Alternatively, an LED Light can notify the caregiver via a continous beeping sound and/or a flashing light. Feel free to contact us directly. We will be glad to assist you! 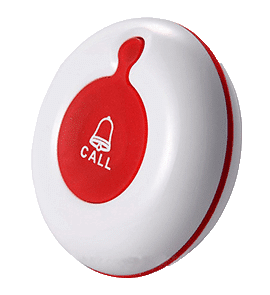 It allows the cared for to take their trusty Call Button into the shower or out into the garden so they don’t have to fear falling down and waiting for hours before someone finds them. A lanyard can be connected to the back-mounting section and can be used around your family member’s neck so that they have the freedom to move around and not be confined to the area that their button is located. They can press the call button wherever they are. The cared-for may be weak or not have enough energy to push a firm button so our Buttons come with a large surface area that can be triggered on a soft rubber with a slight press. The rubber surface on the button is also indented to prevent an accidental press. Requires an A23 battery which lasts up to 1-2 years in a home use environment. The Call Button is supplied with a special key which allows you to remove the backing and unscrew the casing in order to change the battery. Can you have one receiver to multiple buttons? Improve the response time of your Caregiver. 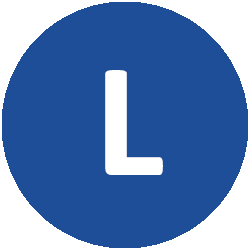 Helps the caregiver to quickly identify the room in need without having to search the entire home. The LED has a switch inside the back cover which allows you to change between a beeping noise or silent. This LED light also flashes bright red upon pressing the call button. The LED light cannot work without a Cancel Button. 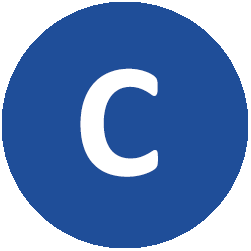 A cancel button is used to stop the light from flashing and making a noise. You can share one cancel button for multiple call buttons or have a cancel button for each call. The configuration should be dependent on how your caregiver needs to be notified of multiple calls. Please speak to a consultant to find the best solution for you. Even though it is part of our wireless range, all receivers require constant power except the wristwatch receiver. The signal transmits wirelessly from the Call Button to the LED light. The LED light is supplied with the required 12V power supply which is 1m long. How loud are the alerts and how far can you hear it? Can you extend the Power Supply for me if I need a it to be a specific length? 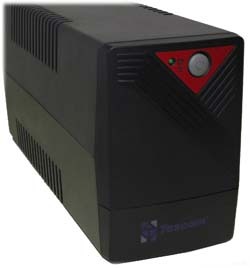 Yes, we can extend a Power Supply for you on request. Download the PDF Manual for the B-700 LED Light to get an in-depth look at the features and settings. Save valuable time in a life-threatening emergency. The wristwatch gives you an immediate notification while the caregiver is away from the cared-for or in another area of the house or garden. You have two options: Remove the watch straps and wear the wristwatch on a lanyard or wear it on your wrist. The wristwatch receiver has a capacity of 200 transmitters. This means a total of 200 Buttons can be programmed to the wristwatch. 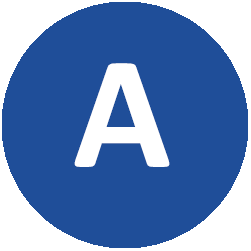 Display either four numbers “0000-9999” or use the first digit as a letter, from A-F. Eg: “A001”-“F999”. Recharge the lithium-ion battery every 2-5 days (depending on use). Battery life is indicated on the display. You can see the strength of the signal displayed on the wristwatch. If you require it to travel further than the standard 150 meters, add signal repeaters for an extended range of up to 1 km. The volume of the alert on the B-650 is 85 db. Download the PDF Manual for the B-650 Wristwatch to get an in-depth look at the features and settings. Control your Display Panel with 4 easy-to-use buttons. 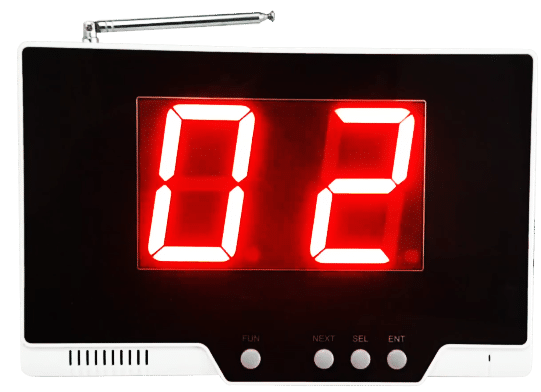 The B-99P is popular due to the ease of use and adjusting the programming on the side of the Display Panel in 4 easy steps. Simple 2-digit codes to locate which area the caregiver needs to go to. The B-99P has a 2-digit display. It can display 00-99. This is the only display panel that comes with a table-top stand. You can easily place it on your counter, or if you desire it to be mounted it does also comes with a mounting bracket. The volume level can be adjusted to your preference. Has a capacity of 99 transmitters. This means that you can store up to 99 Call or Cancel buttons on this display. Program cancel buttons to this display unit. You can place cancel buttons at the call points (bedside, toilet, shower, etc) so that the caregiver can cancel the alert tone from the call point before attending to your family member. Convenient and easy to cancel. You can choose between 5-99 seconds, how long you want the calling information to stay on the screen before it cancels automatically. The volume is adjustable and can go up to 110 dB. Can you have one button linked to multiple receivers and one receiver to multiple buttons? Yes, you can have one button linked to unlimited receivers and one receiver linked to 99 buttons. Download the PDF Manual for the B-99P Display Panel to get an in-depth look at the features and settings. Prevent downtime during those pesky Power Outages. Get a backup power supply for this Display Panel so that it will be able to run during a power failure. Give your family member the freedom to move. 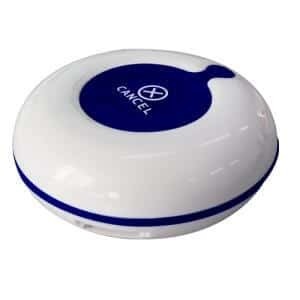 The signal booster extends the range of the Call Button transmission so that your family member does not need to be fearful to move about the house, they can have complete peace of mind knowing that their Call Button will reach their caregiver whether they are in the Garden, Lounge or Kitchen. The call buttons does not need to be programmed to the repeater. With two Antennae to help receive and transmit the signal, the device ensures that BellMe sufficiently covers your property with ease. 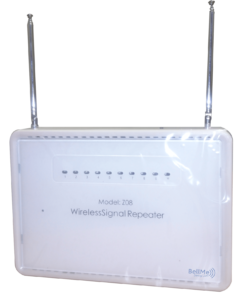 The Signal repeater requires a power source and is supplied with a 12V adapter which is 1m long. Even though it is part of our wireless range, all receivers require constant power except the wristwatch receiver. Our Calling Systems have a range of 100-200m without a Signal Booster. If you add Signal Boosters you can increase the range up to 1km. In case of a power failure, the repeaters have an internal rechargeable battery pack that will power the unit for up to 1.5 – 2 hours. 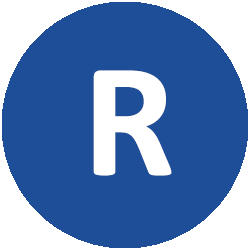 How do you determine if a signal repeater is needed and how many? 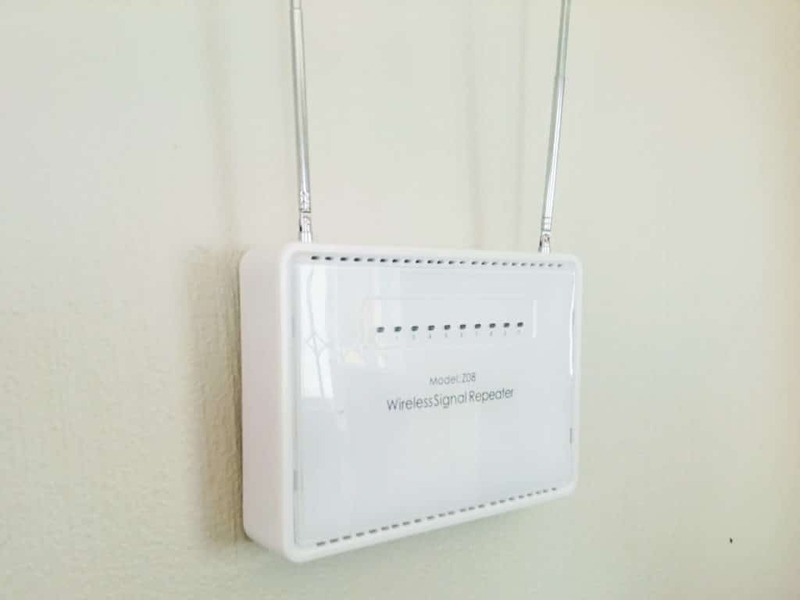 Signal repeaters are strategically placed where the signal falls short and each home is different depending on various factors. Please speak to a consultant. Download the PDF Manual for the B-Q4 Signal Repeater to get an in-depth look at the features and settings.